“Turning the world into a global village” has been the motto of this digital era. Although this digitization has served its purpose, it is still lacking in many ways. The new and un-guided people can face irreversible damages from this virtual world. Likewise, when it comes to children, the chances and risks of getting targeted increase twofold. So, what can we do to safeguard the children? This question holds a great importance and puts a grand responsibility on the family especially parents to find a way out of these threats. 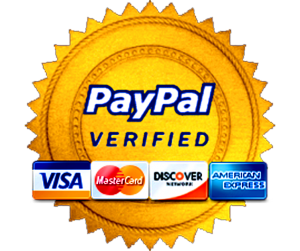 Many associations and organizations keep trying to put up new and novel solutions. But the main concern in minimizing these dangers is that it must be child-friendly. A child’s attention must be diverted in a manner that does not offend him. In seldom cases, it may even depress him. Along with increasing interest in the virtual and imaginary world, the psyche of the new generation is also changing. They may fall for depression if they are discouraged from doing the things they adore. Similarly, if they are left un-guided and no boundary is put in front of them, they may get trapped by antisocial activists. Take the internet and social media as serious as you consider your child’s playground or his class. You always ask him to be aware of strangers and negative people, right? Then why do you leave his online connections un-noticed? Teach your child the level of friendship he should develop with someone he has not seen i.e. online friends. If you feel any recent change in your kid’s behavior ask him. Guide him what is wrong and what is right to share with strangers. As it is said “excess of everything is bad” do not leave him free with his gadget for a long time. Likewise, do not restrict him too much from using it that he may start betraying you. When you believe in this quote, why don’t you follow it? Every mindful person must emphasize children’s physical activity and sports. When you do not make time to take them to a playground or park or even in the backyard of your house, they will seek an alternative. And that alternative is their virtual and imaginary world. With progress in devices’ features, attention-gaining things are increasing too. New games, social communication apps and the newest addition the dating apps are designed to catch the attention of young growing minds. Teenagers of this generation are the most intense technology addicts, leaving an immense pressure on parents to guide them on the right path. So, make a set schedule of playing with your children and encourage them to take part in more physical sports and develop a sense of critical thinking in them too. When parents are busy all the time in their work or on their phone, kids need an escape. Be it talking to strangers or bullying the weaker ones. They are always on the verge of getting exploited or exploiting the others. What you should do in this situation is to be friends with your growing child. Ask him/her to share what are his interests and what is bothering him. Communication is a great way to lead your child in a good direction. REDUCE YOUR OWN TECHNOLOGY ADDICTION! Parents; you are also most of the time busy on your phone or computer, you are making a way for your child to follow you. Because children do what they observe. If you are aggressive they also become aggressive. Sexual obsession is a contributing factor to social media. Similarly, if you do not take part in healthy activities they also have great chances of becoming lazy and introvert. SAVE THE FAMILY TIME FROM GADGETS! It is a normal believe that families who eat together become more bound with each other. Parents or even grand parents should build a rule that no mobile on the dinner table! When you and your children both have an inclination towards the gadget in your hand, the quality family time is ruined. But when you share what you did in the day and ask your children about school or playground the dinner table become livelier and children start taking interest in conversation with you and their grandparents. If you are so much worried that your child has no interest in anything else and he is always thinking about his game or online friends. You must try and figure out what are his main interests. If he is into talking with friends for a long time on his mobile, encourage him that he/she should invite friends home or on a public place. Friend gatherings are healthier than them talking through texts. If your child is more interested in games, get him registered to a sports team or sports club. Of all the above described expected things, the most dangerous thing is cyberbullying. The predators out there do not see if their opponent is a child or an introvert already fighting with his fears. Virtual world along with being a good time killer is unexpectedly risky. You cannot trust anybody whom you don’t know or haven’t met. So, always be conscious about the interests, connections and threats your child might be facing in his virtual world. 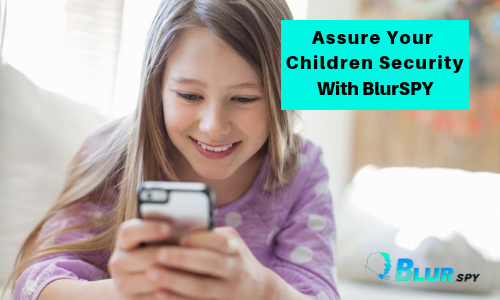 This is the best way you can protect your young children through BlurSPY to keep an eye on their online activities.